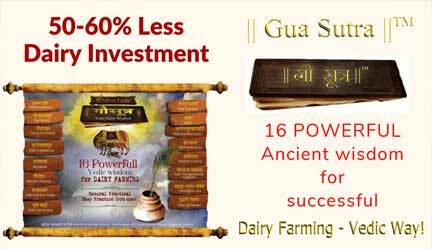 Many cowsheds are DARK WITHOUT SUFFICIENT SUNLIGHT. Unfortunately, North & Eastern side is CLOSED. Cows do not like dark. Darkness does not allow good health & growth! Many cowsheds DO NOT HAVE PROPER OUTFLOW FOR DUNG/URINE & WASTE. Messy surrounding & cluttered cowshed is unhealthy, invites health problems, causes low productivity & unwanted expenses! 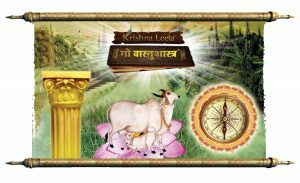 KL ||Gau Lok Vastu Sutra||™ provides Simple Practical Low Cost/Zero Cost Practices. 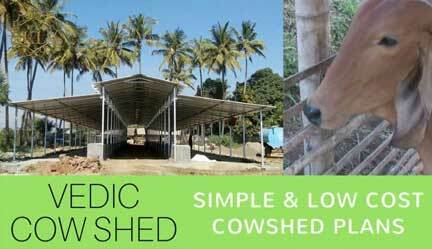 Tip 1: Which area is the Suitable Place for Cowshed in the farm/Plot? Tip 2: Which is the Ideal Door Entrance for Cowshed? Tip 3: Which Direction should the Cows Face in the cowshed? 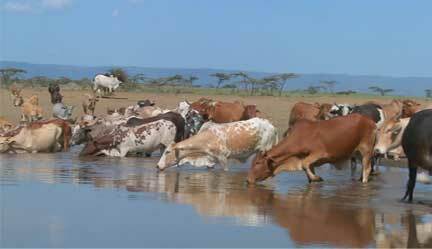 Tip 4: Which is the ideal place for water pond/well, water bore, underground water storage & Drinking water for cows? Tip 5: Wich area around the cowshed needs to be kept open without any storage & NO messy surroundings? Tip 6: Which is the Ideal place for labour rooms in the farm/plot? 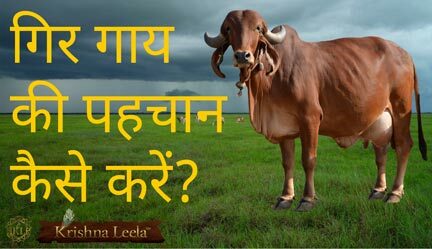 Tip 7: Which area is ideal for Cow feed storage like dry grasses, Fodder, farm equipments etc.? Tip 8: Which areas are Ideal for having Tall trees & short trees? 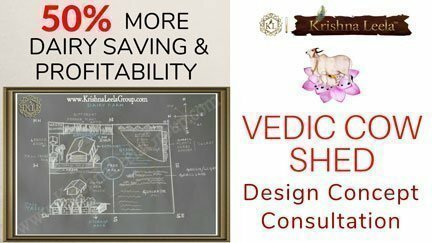 Tip 9: Which are the important Vedic plants to be grown around cowshed? Tip 10: Which is the Ideal area for farm waste & disposal? Tip 11: Which is the ideal area for the OWNERS to construct farm-house? Tip 12: What is the Ideal wall thickness & height around the cow shed/farm? Tip 13: Which area is suitable for farm energy/electrical equipments like generator etc? Tip 14: What should be the level of the cowshed plot? Tip 15: What should be the Ideal slope of the farm plot? 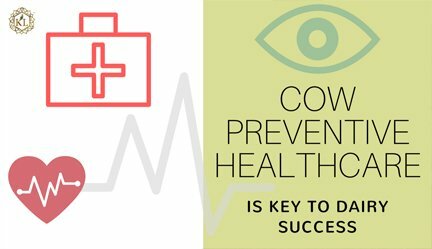 Tip 16: Which area is Ideal for Pregnant cows in the cowshed?